LTO Announces the Distribution of Driver’s License Card for Old Applicant’s Starting Today! Good news for all drivers licensees that still awaits their driver’s license card from the Land Transportation Office (LTO), the agency announces that starting today, Monday December 19, 2016, all driver’s license applicants that applied from January 2 to October 15, 2016, can now pick their long time awaited driver’s license card at LTO Offices where they applied for. According to the notification of the Land Transportation Office (LTO), starting today they will distribute almost 3 million backlog or plastic cards that has never been given to the already paid applicant since January of this year. The LTO Chief Edgar Galvante, explain that the agency has done a way to orderly distribute the almost three million backlog in LTO plastic cards since January 2016, which 700,000 of license applicants are from Metro Manila. The LTO Chief also clarified that the already paid applicants who long awaited for their driver’s license card will not give or pay any extra charge once they pick up their license card. How and when the problem starts? 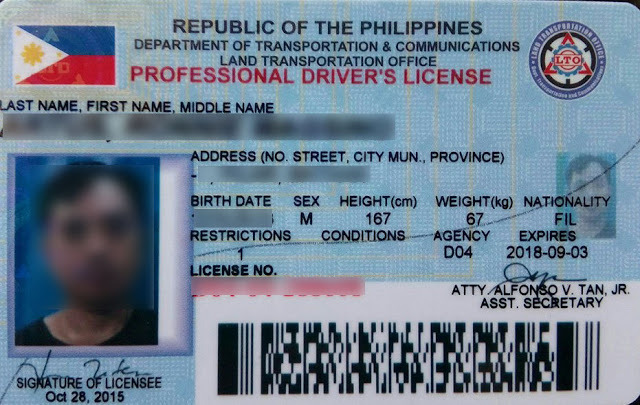 The problem of distribution of driver’s license card has become a major problem for Land Transportation Office (LTO), which begin in the past administration. it is remembered that in 2013, the Commission on Audit stop the LTO from paying their card supplier because of contract problem. Aside from driver’s license card delayed distribution, license plate distribution is also a major big problem for the agency that until now, many motor vehicle owner has not yet received their new license plates. By this LTO new progress, hopeful applicants can now feel the ease and comfort in applying for driver’s licenses that they will never ever experience the long waiting and the burden of keeping back to LTO Offices to follow up for the license card that old applicant experience. To claim your driver's license card, don't forget to bring the official receipt at the time of applications and avoid fixers. No Comment to " LTO Announces the Distribution of Driver’s License Card for Old Applicant’s Starting Today! "